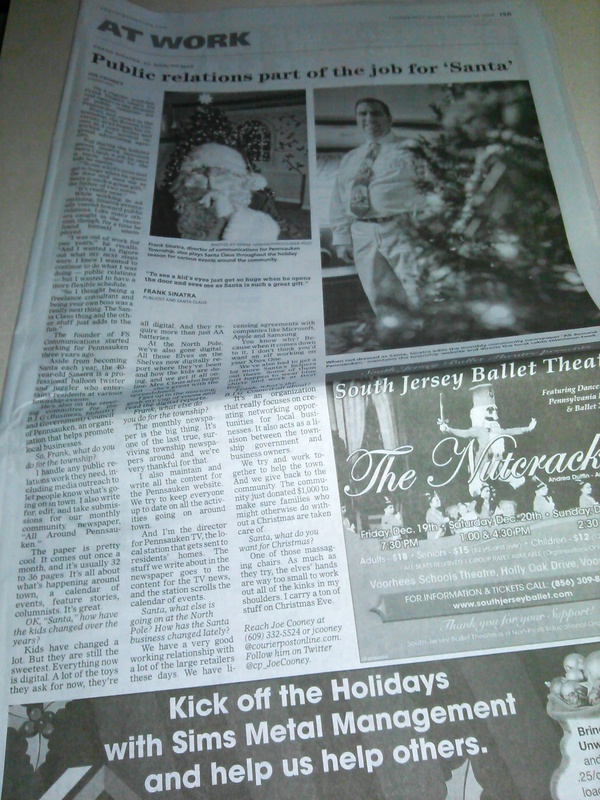 Our “Santa” Featured In The Courier-Post! We made the big time in the Courier-Post! 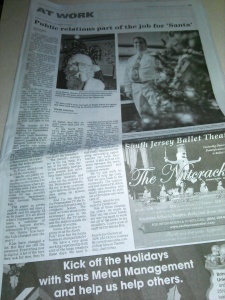 A big thank you to business reporter Joe Cooney for his great article on our Santa! “Santa, what else is going on at the North Pole? How has the Santa business changed lately? We have a very good working relationship with a lot of the large retailers these days. We have licensing agreements with companies like Microsoft, Apple and Samsung.